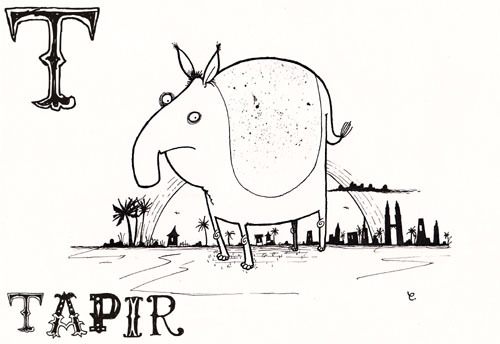 T is for tapir. This is a Malayan tapir and should be coloured in as such. Or not. Don't care. To download an A4-sized version to print out and drain sausages on, click HERE.